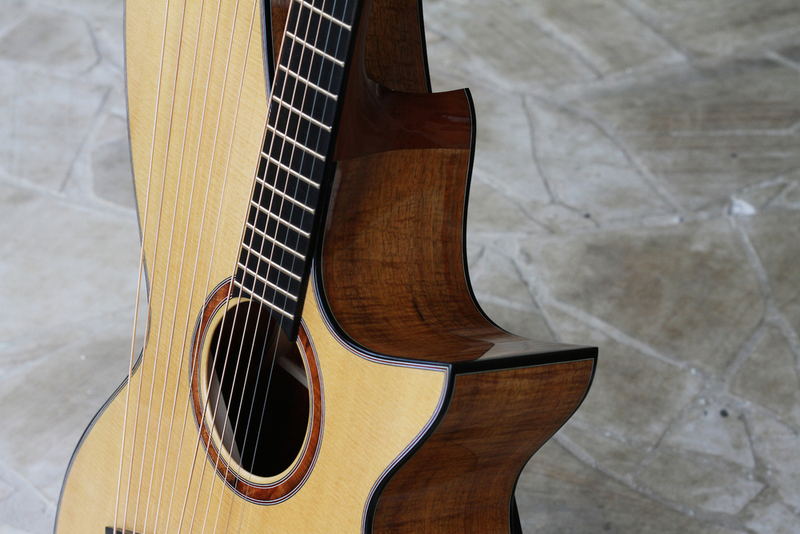 In May of 2014, after receiving an invitation to exhibit at the Holy Grail Guitar Show in Berlin, I started thinking about something special to make for the show. 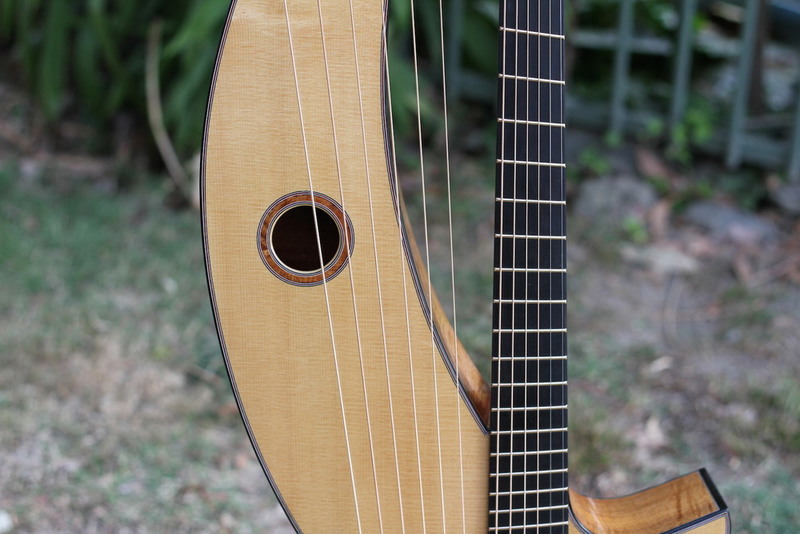 I had been interested in the Harp Guitar for quite some time through exposure to musicians such as Michael Hedges and Andy Mckee and despite never playing or even seeing or hearing one in real life, I decided to challenge myself and build a Harp Guitar. 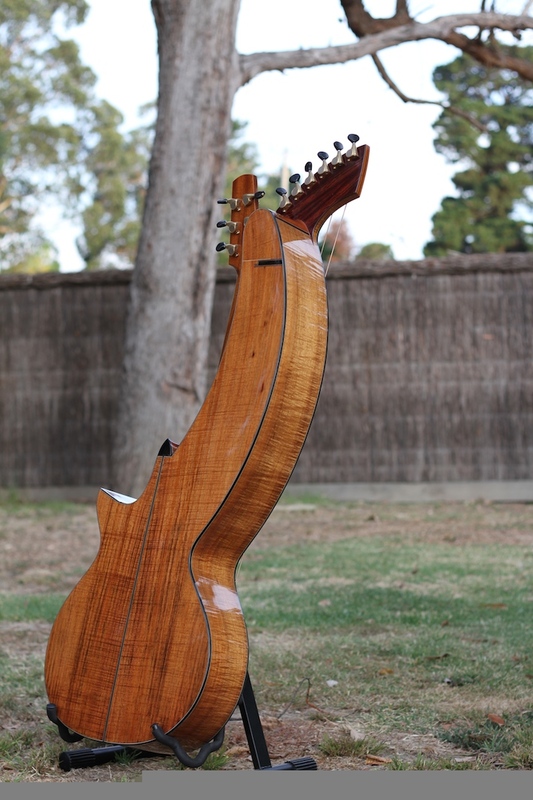 Being the only Australian guitar maker invited to exhibit at the show, I made the decision to showcase a fusion of Australian and international timbers in the build. 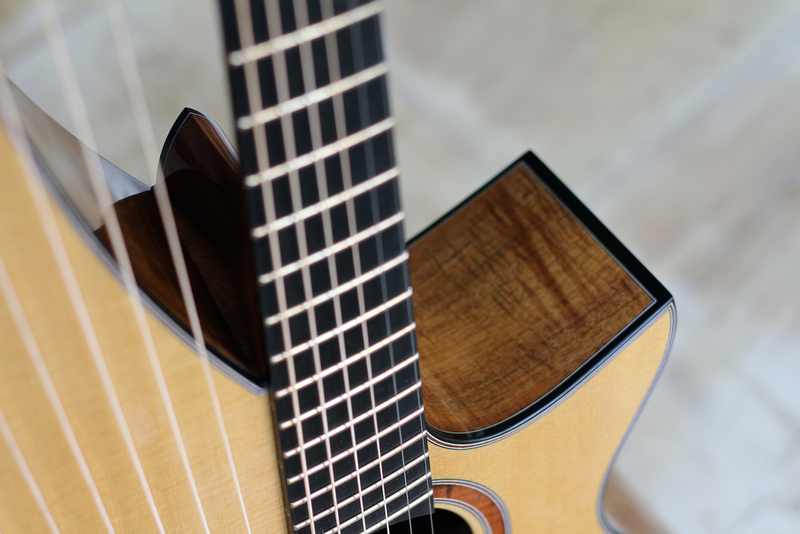 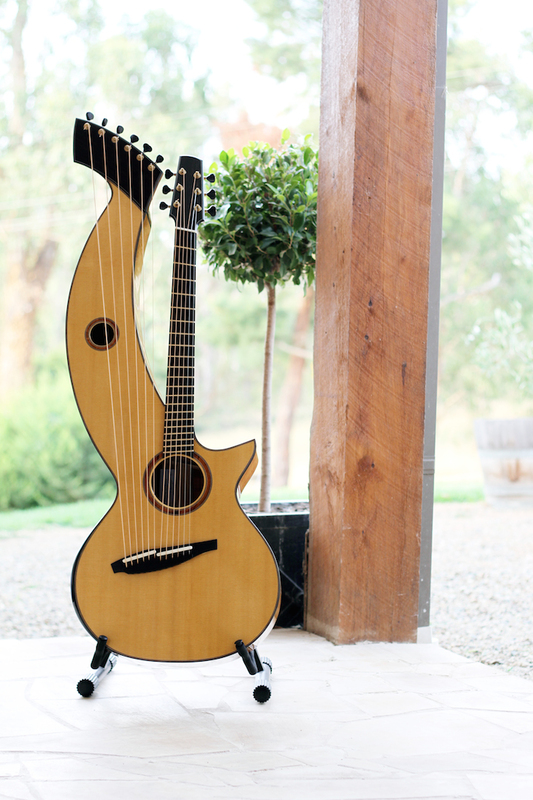 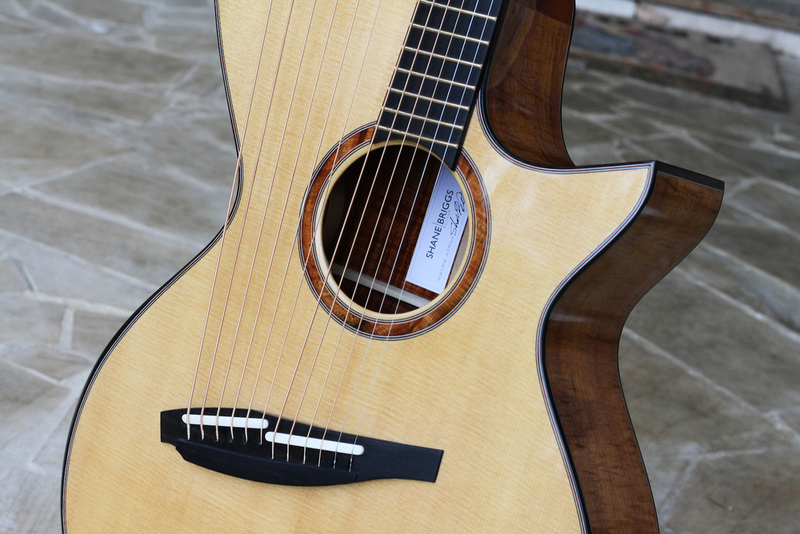 The Harp Guitar was exhibited at the first ever Holy Grail Guitar Show in Berlin on the 15th and 16th of November, 2014 and was sold at the show.